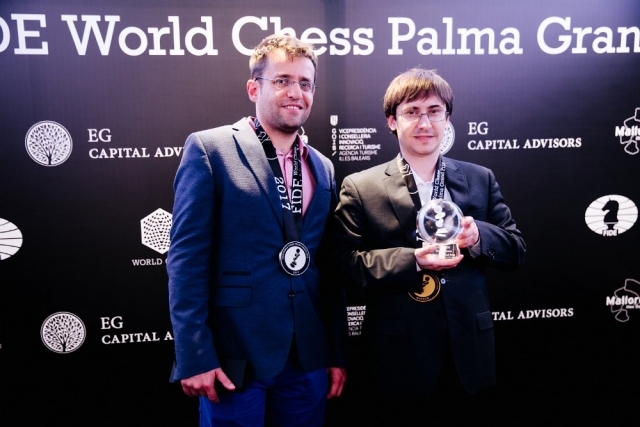 The final leg of the FIDE Grand Prix Series 2017 took place in Palma de Mallorca (Spain) from 16th to 26th of November. 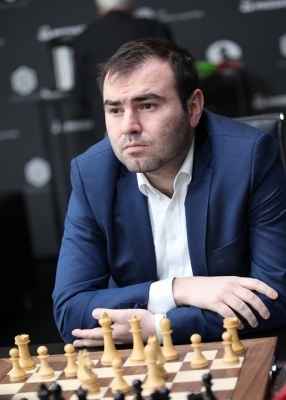 Levon Aronian (Armenia) and Dmitry Jakovenko (Russia) won the final tournament of the Grand Prix Series, both scored 5 ½ points. 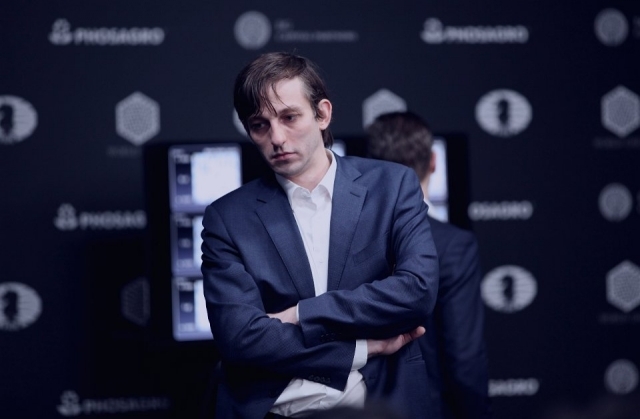 Shakhriyar Mamedyarov and Alexander Grischuk topped the final standings of the FIDE Grand Prix series to qualify for the 2018 FIDE Candidates Tournament in Berlin. FIDE World Junior and Girl under 20 Chess Championship 2017 took place in Tarvisio, Italy from 12th to 26th of November. IM Praggnanandhaa of India did not reach the podium although he received his first GM norm. 237 players from 64 countries participated in the tournament. World Senior Championship 2017 was held in Acqui Terme, Italy from 6th to 19th of November. 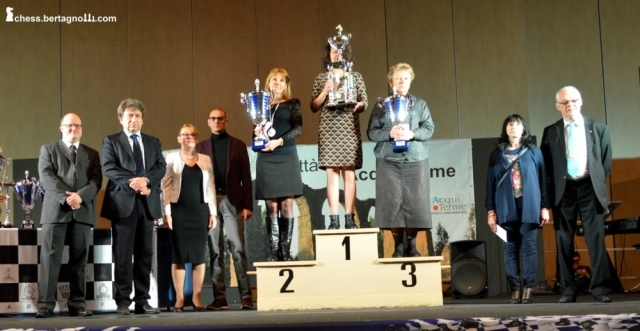 For 7th time Italy was hosting the World Senior Chess Championship. After Arco 2001 and 2010, Lignano Sabbiadoro 2005, Arvier 2006, Condino 2009 and Acqui Terme 2015 this year the seniors were invited again to came to the city of Acqui Terme (nearly 20.000 of inhabitants) in northern Italy, between Genova and Torino, 35km in south of better known city of Alessandria. From 6th till 18th of November 2017 298 players out of 52 countries were playing for the titles of World Champion in the categories “Open +50”, “Women +50”, “Open +65” and “Women +65”. Top favourite GM Julian Granda Zuniga (Peru) had already won the tournament after his victory in round 10. Therefore, in last round he agreed in a quick draw and won the tournament with 9,5 points out of 11 games (8 victories, 3 draws). In the year 1980 the top player from Peru won the WYCC Under 14 in Mexico, and now, 37 years later, he became World Champion in this year’s Senior-championship. What a nice story! One point behind the new World Champion GM Rogelio Antonio (PHI) and GM Eric Prie (FRA) finished on second and third place. GM Evgeny Sveshnikov (RUS) became the new World Champion, half a point in front of 9 players with 8 points. The other medalists are GM Vaisser and GM Jansa. 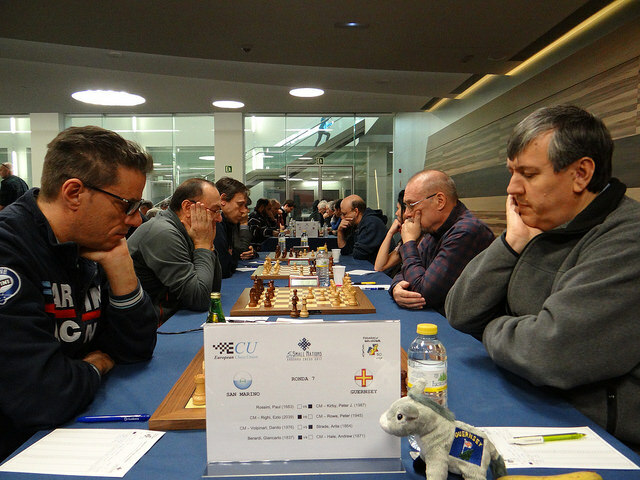 5th European Small Nations Team Chess Championship took place in Andorra la Vella, from 11th-19th November. The Champion of the event was determined in the last round. Faroe Islands took a narrow victory in the direct match for the first place played against Andorra, and became the European Small Nations Team Chess Champion for 2017. 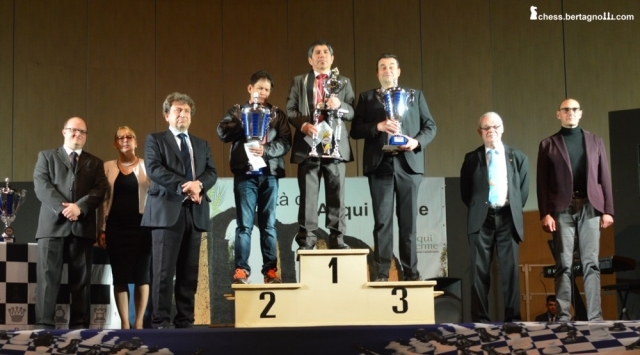 Second place went to Monaco, while the third place came to Andorra. Together with regular prizes, the best players of each board were awarded with special prizes. The special prizes were awarded to: Board 1 - Helgi Dam Ziska (FRA), Board 2 - Tom Weber (LUX), Board 3 - Robert Aloma (AND) and Board 4 - Pierre Gengler (LUX). European Small Nations annual meeting took place on 18th of November with attendance of all 10 nations. 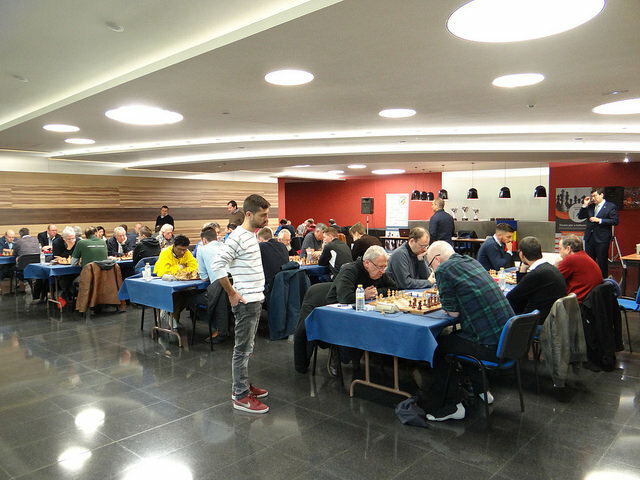 The Chess Federation of Andorra under the auspices of the ECU organized the event. Panamerican Junior U20 Chess Championship 2017 was held in San Salvador, El Salvador from 31st of October till 7th of November. 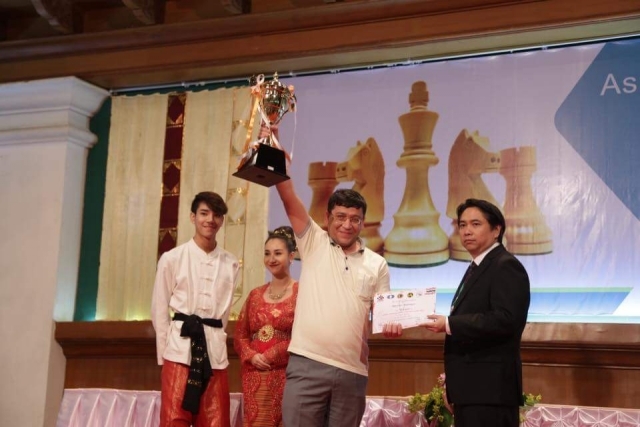 Asian Amateur Chess Championship 2017 took place in Chiang Mai, Thailand from 23rd till 30th November. 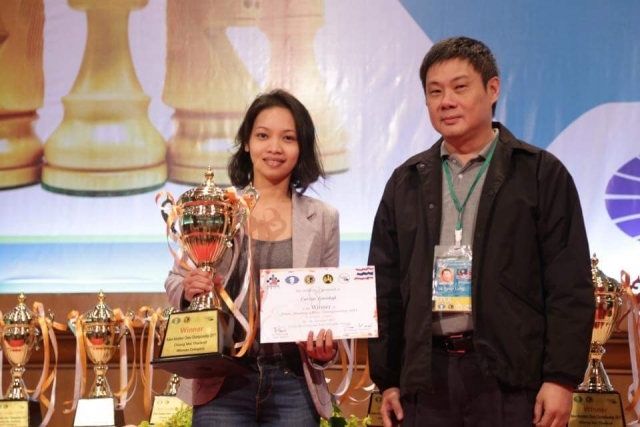 Uzbekistan's Bakhiyor Djumaev and Loreshyl Cuizon of the Philippines won the Asian Amateur and Women's Championships, respectively, organized by the Thailand Chess Association 23-30 November 2017 in Chiang Mai under the auspices of the Asian Chess Federation. Kyrgyzstan's Islam Baisynov shared second to fourth places in the Open with Mongolia's Dagii Ganduuga and Philippines Stewart Manaog, all with 7 points with Singapore's Matthew Lau Ende taking fifth place. 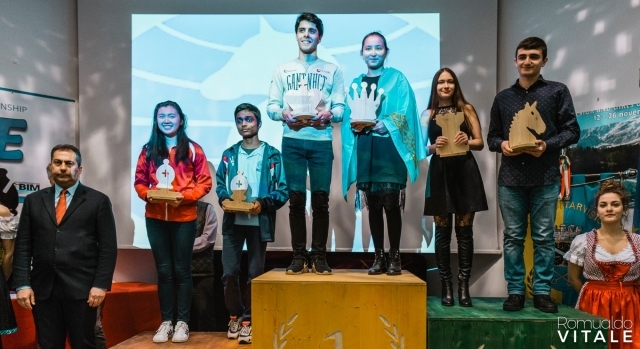 The category prizes, best under 2000 went to Nepal's Bhupendra Niraula, best under 1900 to Oman's Salim Issa Ali Shamas, best under 1800 to Mongolia's Amartaivan Erkhembayar, best under 1700 to Malaysia's Teh Wee Zhun and best unnrated to Mongolia's Ganbaatar Batsukh. In the women's section, Cuizon started very brightly with 5/5, then agreed a short draw in round six after beating her main rival, India's G Sandhya, and then struggled a little with two more draws but then recovered her early energy in the last round to win and take the title thanks to the first tie-break of direct encounter. While Sandhya was second, her countrymate Gochhikar Aparajita took third place half a point behind on 7/9. Category prizes were awarded to Myanmar's Su Laet Nandar for best under 1900, Malaysia's Fong Mi Yen for best under 1800, Thailand's Sarocha Chuemsakul for best under 1700 and Myanmar's Hnin Pwint Phyu for best unrated. Rencontres Internationales des Échecs Francophones took place in Hammamet, Tunisia from 27th of October till 5th of November.